The coat of the cute marmosets is gray. The most striking feature is the white tuft-like hair. The face, however, is hairless. The tail is striped gray and white. Marmosets reach a length of 14 to 18 cm from head to tail. 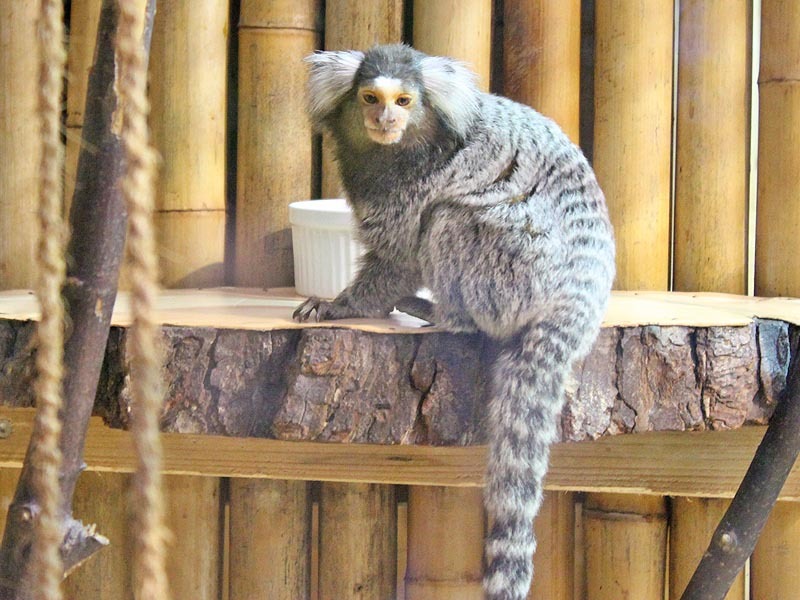 Like all callitrichidae, marmosets are diurnal. 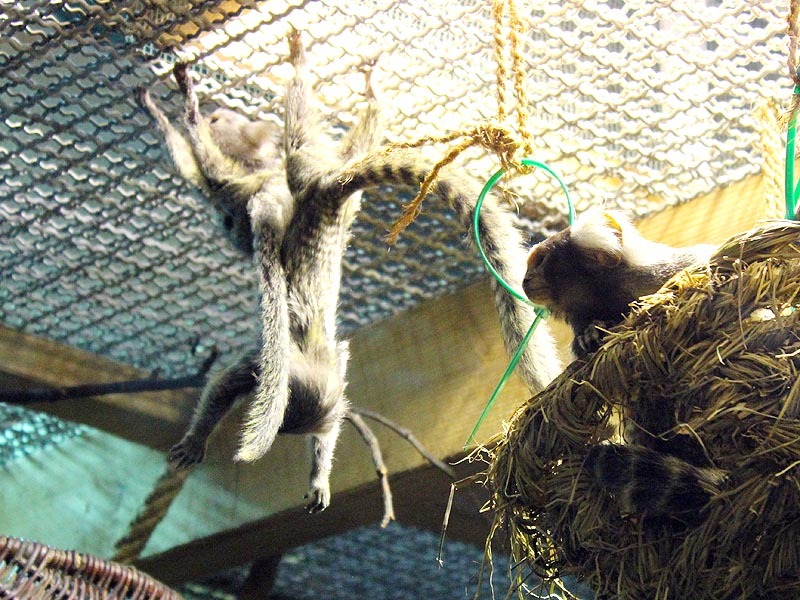 They live in various habitats, from forest to the deep forests, but also occur in plantations. Beeing swift climbers the move quickly over the branches and can also jump well. 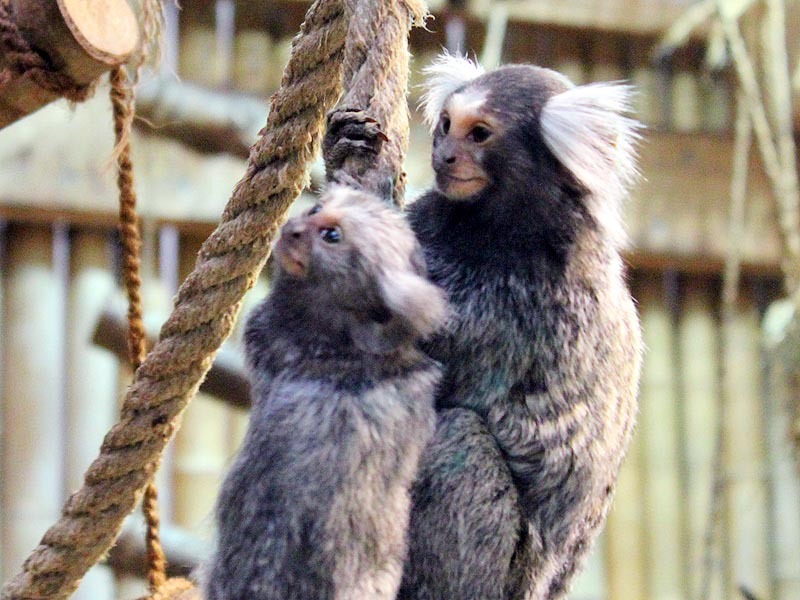 Marmosets live together in groups of 4 to 15 animals, which often consist of parents and their pups. Such groups inhabit areas up to a size of 30 hectares. 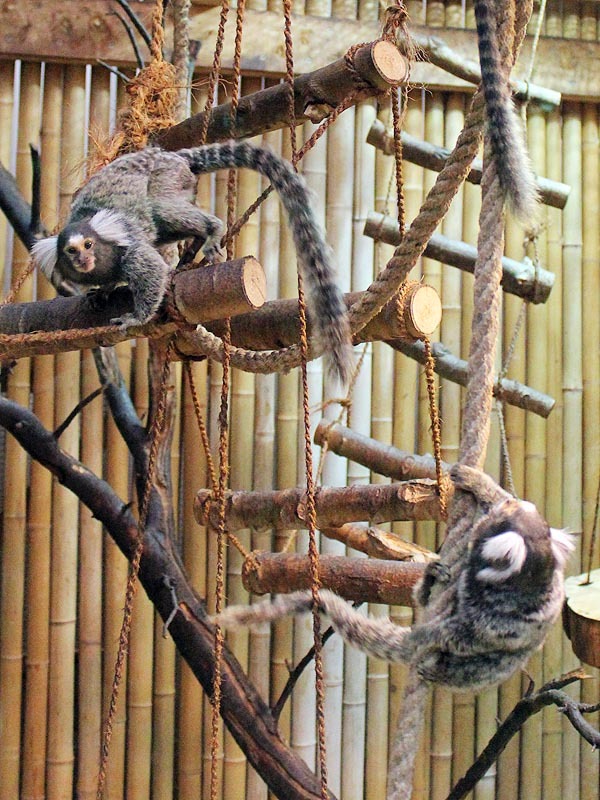 In the group there is a strict hierarchy, where the dominance of senior animals is claimed by aggressive behavior. 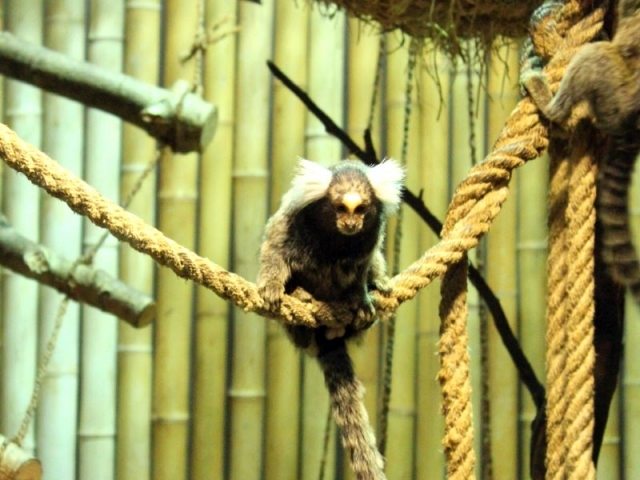 The diet of the marmosets include insects, spiders, small vertebrates, bird eggs and tree sap. 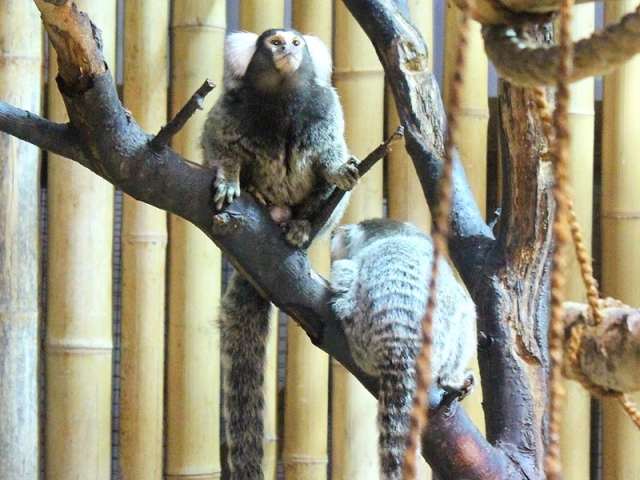 Marmosets form polyandrous groups, i.e. a female mates with several males. These males remain with the female and also take over a part of the education. After approximately 150 days of pregnancy the female gives birth to 1 to 4 (usually two) pups. Compared to the parents the young are very large. Newborn twins together reach about 40% of the mother’s body weight. Males reach sexual maturity at about one year and females at approximately 20 to 24 months. 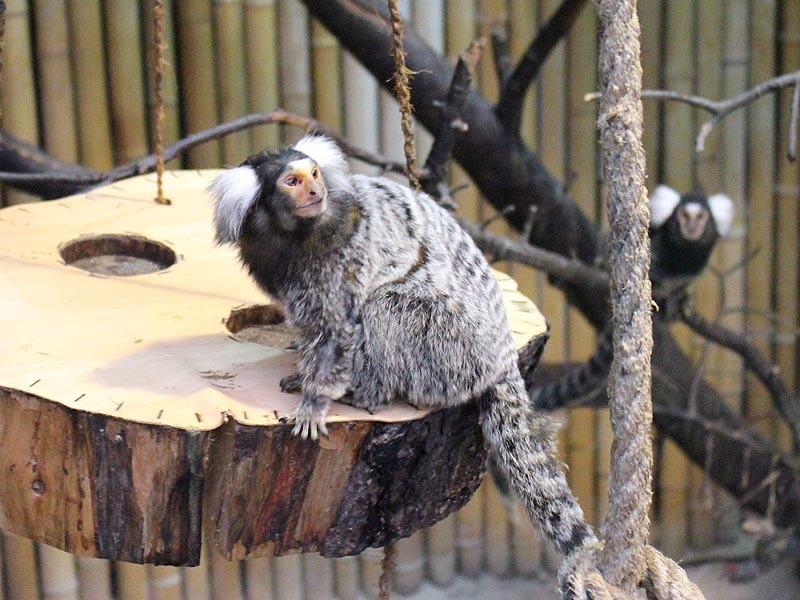 The life expectancy of marmosets in the wild is about 10 years in captivity up to 16 years. 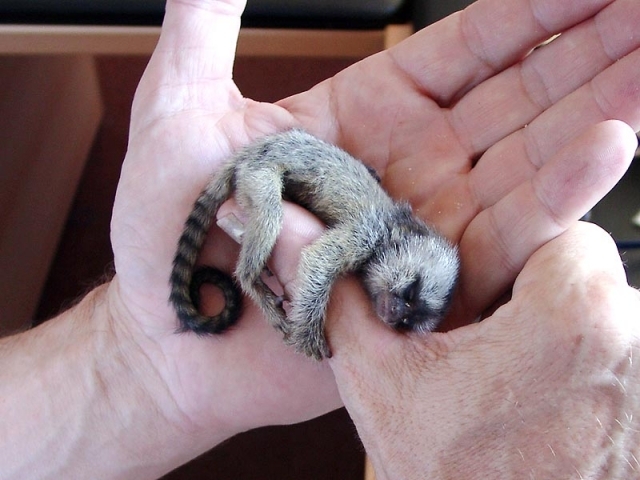 In its native habitat they are under serious threat, although they thrive in their new home, in Southeast Brazil. There, they sometimes cause such damage to plantations that they are regarded as pests.